We were tasked with bringing Courvoisier’s position as the Toast of Paris to life through a platform to allow the brand to engage with bartenders from premium venues around Europe. This platform came together under the 'The Toast of Paris International Cocktail Competition'. 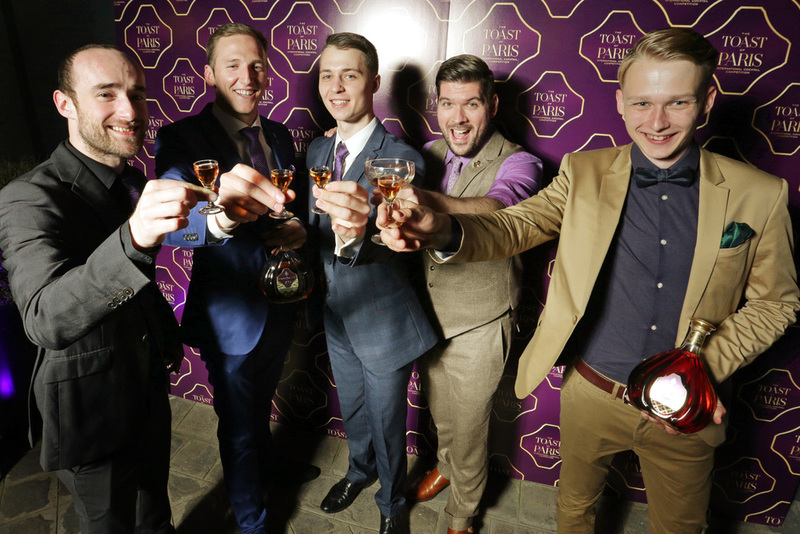 We brought the brand experience of Courvoisier to the heart of every touchpoint. Each moment of the day was centred around the Paris Golden Age, when Courvoisier became the Toast of Paris – from the venue for the cocktail competition final in the evening, to the hotels we selected for our guests. We developed an immersive full day experience that allowed both competitors and press to live, and be inspired by the brand’s heritage, the liquid and their support of the on-trade channel. Through a hosted walking tour of Paris, the competition final itself, and even the after party, we carefully delivered every touch point. This included: venues, catering, set design, logistics and guest management to ensure that the event both reflected the brand’s premium position, and provided a celebration of both Courvoisier and the competitors. The first annual final was an exciting and engaging event, which was enthusiastically received by global markets. Watch this space for the second final, being held in May 2017.